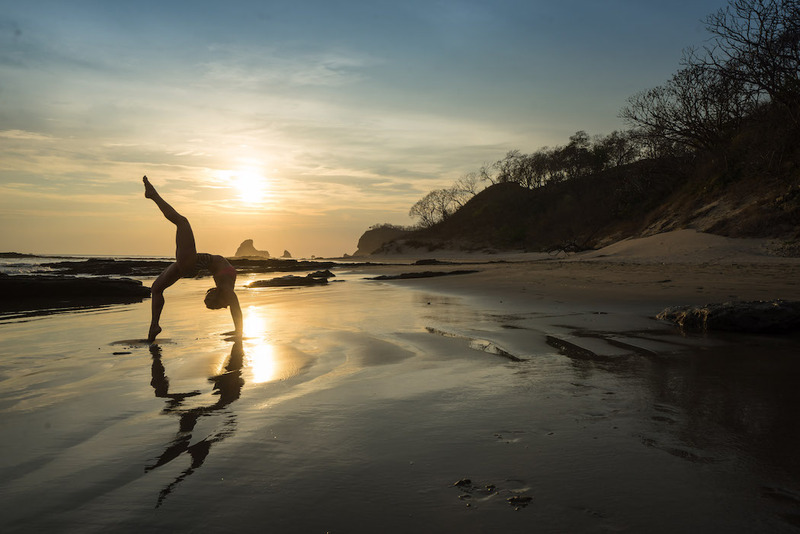 A five minute walk from the waves and taco bars of Playa Maderas, on the southwest coast of Nicaragua, there’s a boutique hotel that will get under your skin. 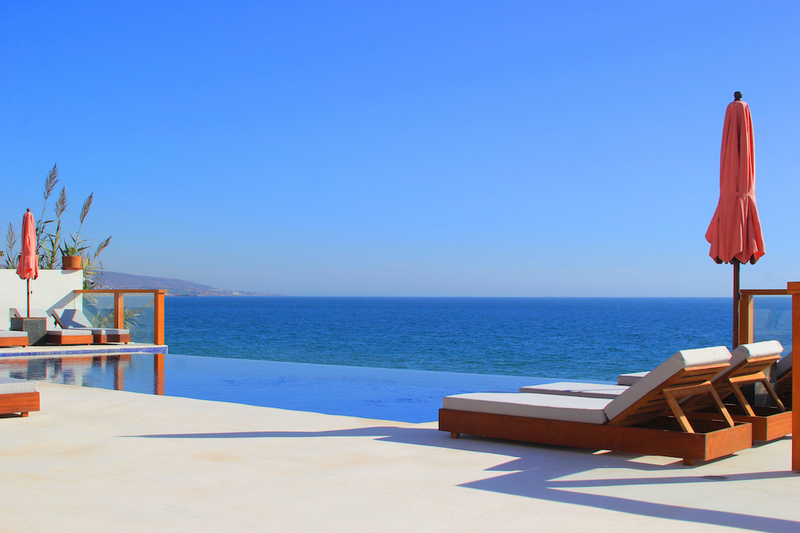 Maderas Village started life as a surf getaway for a group of close friends. Six years later, word of mouth and dreamy social media imagery continue to attract inter-linked guests and likeminded smart, creative souls. 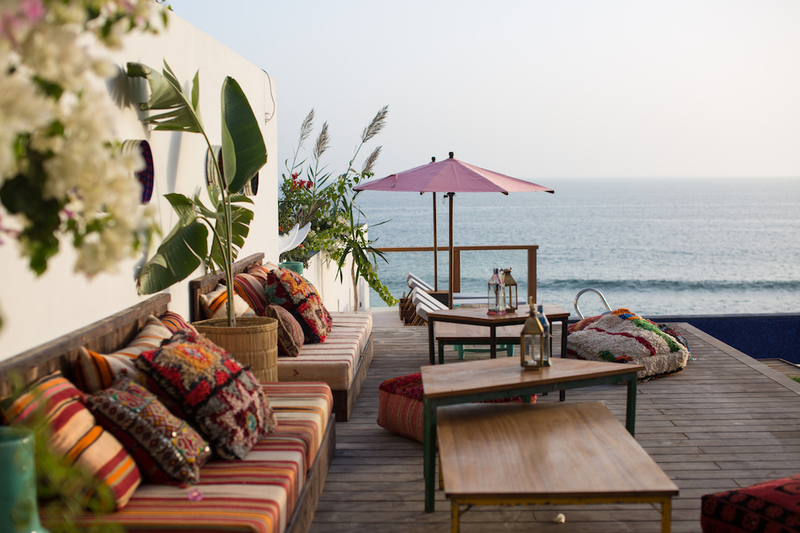 It’s become a second home for people in the know, with a community that keeps returning for more surf, tequila-fueled conversations that stretch into the small hours, and, of course, yoga. 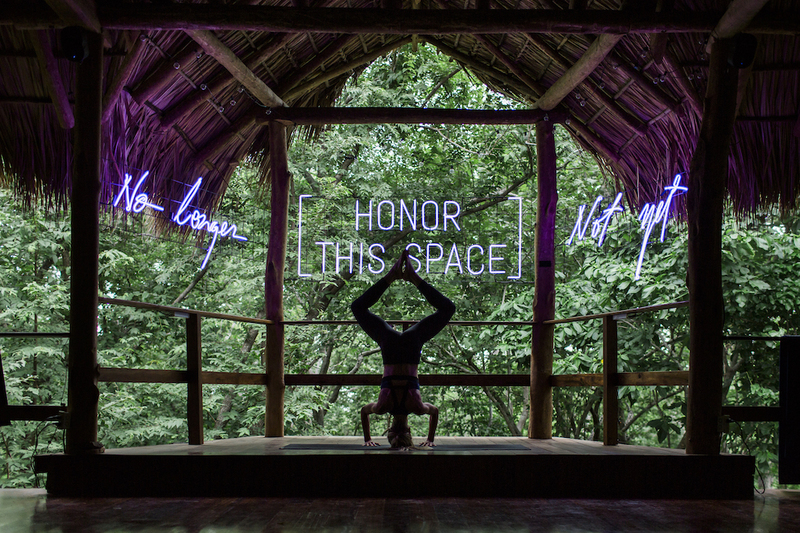 Trendy studios, like NYC’s Sky Ting, and celebri-yogis, including Megan Currie, regularly host retreats as the Village’s open-to-the-jungle studio. And when the hotel isn’t fully booked for a retreat, local teachers hold daily classes against a backdrop of emerald flora. The hottest travel launch of 2016 is a Croatian island with a festival style program of talks, music, workshops, entertainment, and wellness offerings. 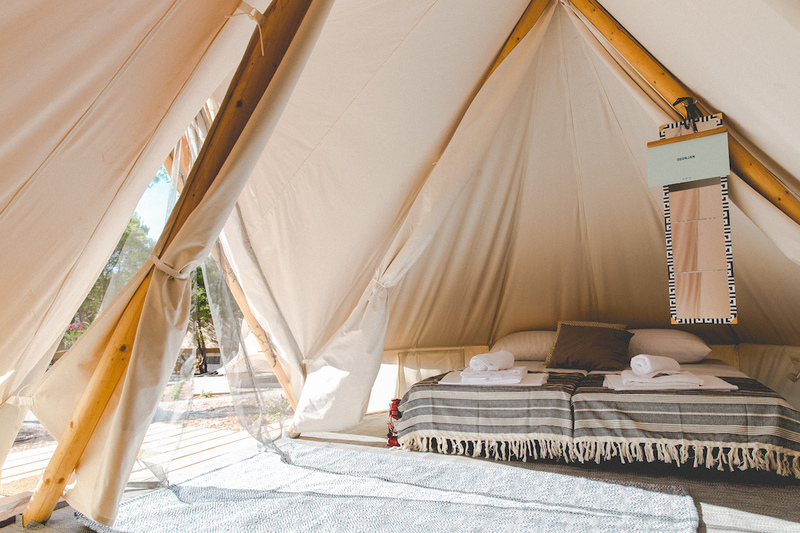 Guests “glamp” in cream canvas bell tents, each one furnished with proper beds, a chest of drawers and essential AC — providing the comfort of a hotel with the fresh pine-scented air of the outdoors. 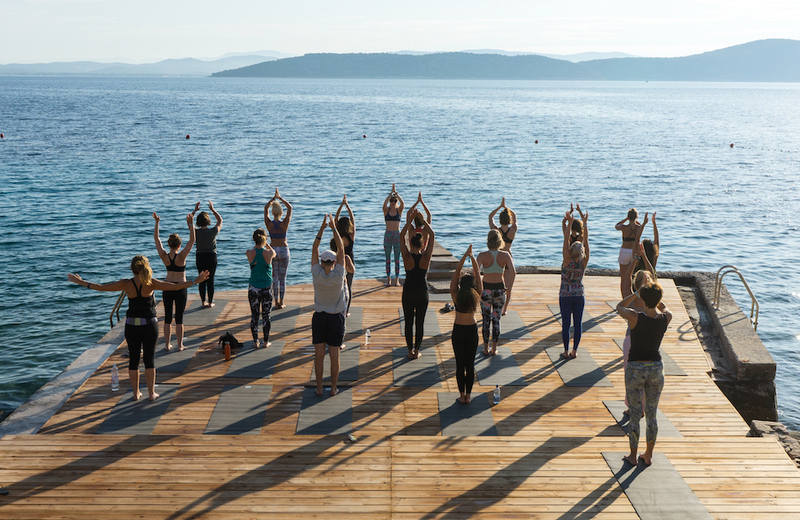 Daily alfresco yoga, pool or ocean-side, gives Obonjan a retreat feel. Nightly parties and ice cold beer aplenty ensure it avoids a holier than thou vibe. 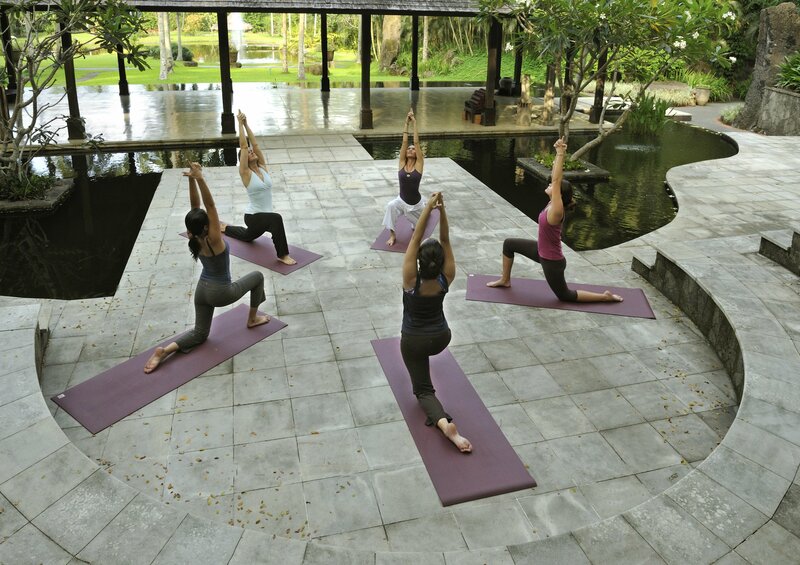 Practicing yoga at Ananda is an authentic experience. 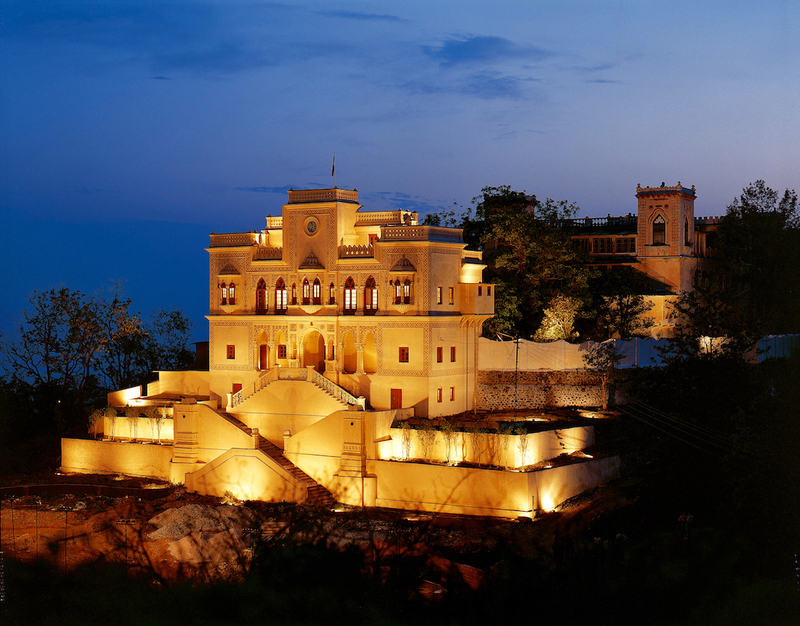 This award-winning spa hotel is situated inside a Maharaja’s Palace in the Himalayan foothills of Northern India, just above “yoga capital of the world,” Rishikesh, and the opaque gush of the Ganges. 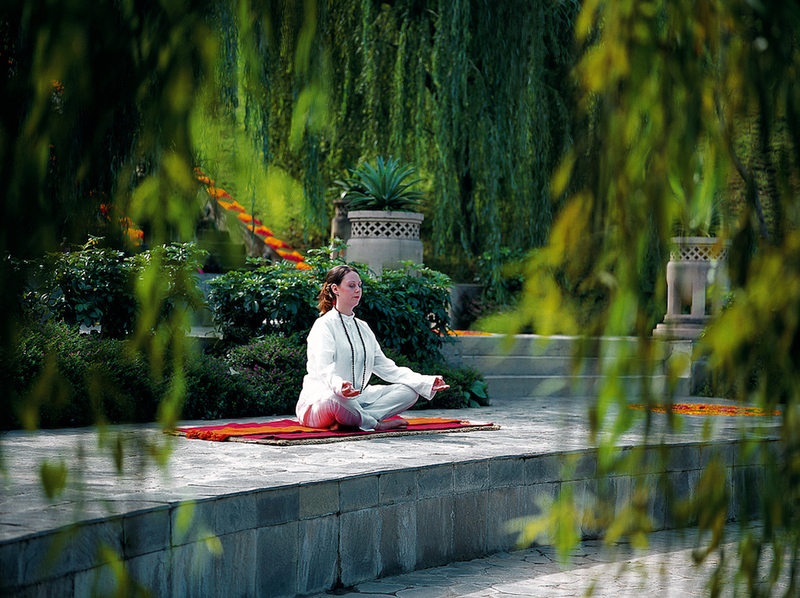 The hotel’s yoga packages extend far beyond the generic western approach of vinyasa flow set to chart tunes, educating guests on the lineage and traditions of yoga, including asana (poses), pranayama (breath work), meditation and Ayurveda, an ancient approach to healing. Under the boundless blue of the Montana sky, an ancient Indian practice is getting an ever-so American twist. The Ranch is a 19th century homestead that’s all about physical activities and big wilderness. During summer, ride horses, cowboy-style, to scenic mountain vistas that make sun salutations literal. Come the winter months, layer up for “snowga” — poses practiced in the quiet of freshly settled snow. The rush of surfing and the chill of yoga. That’s the magic combination offered by Surf Maroc in Taghazout. Its newest hotel, Amouage, is open-plan with 20 bedrooms, each outfitted with embellished throw pillows and printed rugs made by local artisans. A typical day at Amouage includes surf and beach time sandwiched between two yoga classes — an energizing morning flow and a late afternoon restorative to wind you down, ready for a healthy dinner and outdoor movies with new friends. There’s something about the languorous pace of island life that chimes really, really well with yoga. 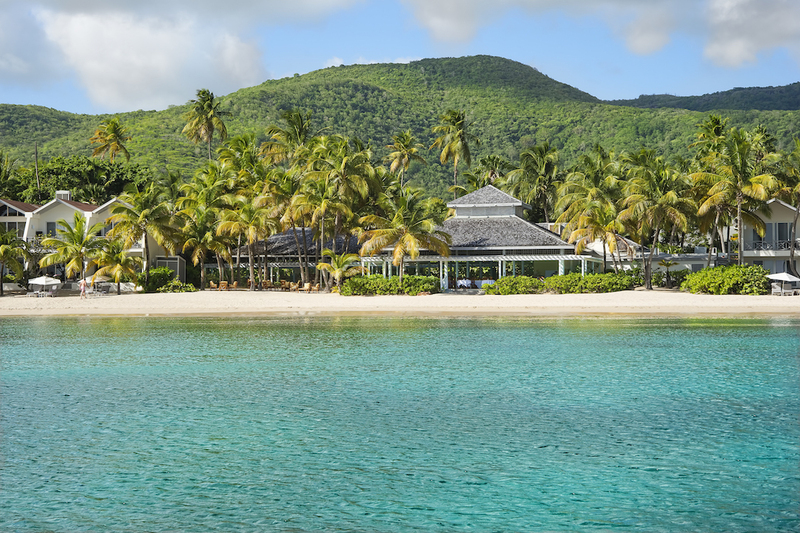 Carlisle Bay, on Antiqua’s southern coast, is a bubble of chill that’s luxurious without being stuffy; it’s got Caribbean effervescence in spades. Here you can flow on the diamond dust sand of the resort’s private beach before breakfast, or on the outwater jetty at sunset. 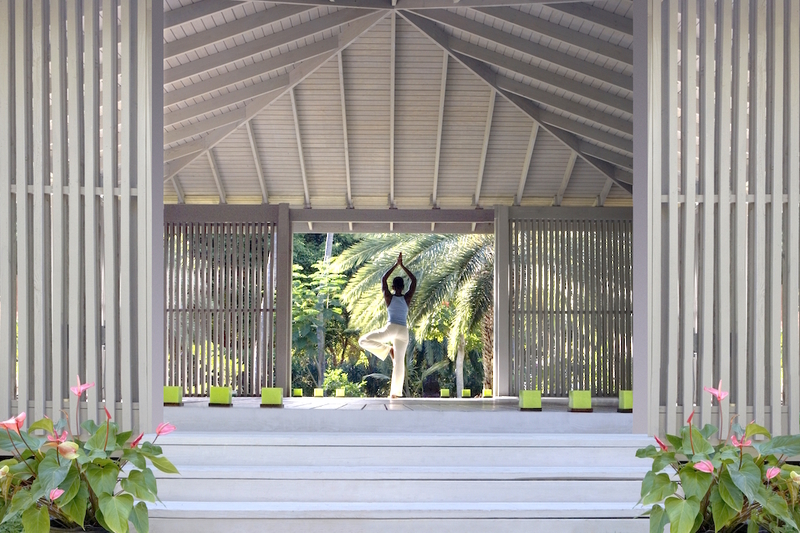 There’s also a yoga pavilion fringed by shimmying palm trees for solo practice or private lessons. 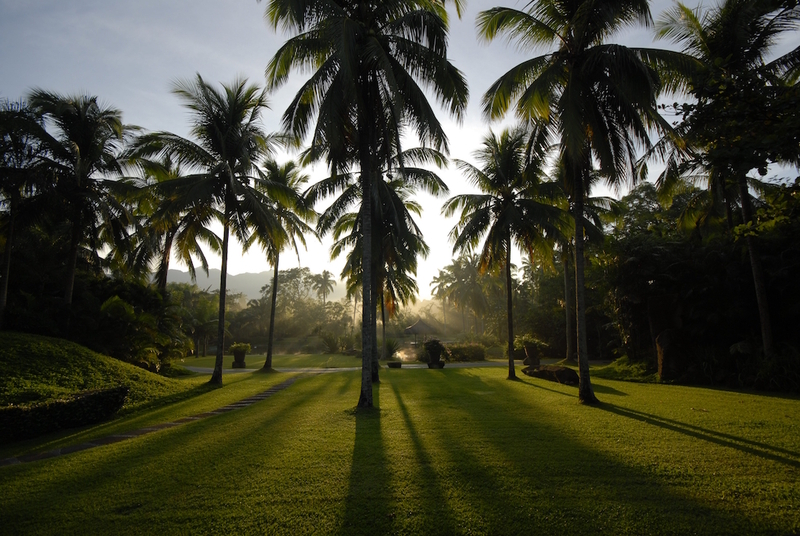 Wellness in a truly holistic sense is the focus at The Farm. Billed as a world-class retreat center, it has programs for all kinds of health goals, offering activities and treatments tailored to each individual guest. There’s even a team of doctors on site for integrated medical services. Practicing yoga here — among flowering trees, in the thick of the humid jungle — is definitely conducive to rest and relaxation.